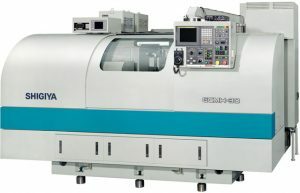 The GCMH-30 , featuring Shigiya’s conversational cam and journal automatic programming system, is the leading CNC masterless cam shaft grinder for unsurpassed quality and throughput. The highly productive machine grinds cam profiles directly from computer-generated design data. It produces straight cams with accurate profiles much quicker and eliminates human error from the grinding process.